Are you discriminating against cancer suffers? A recent poll by YouGov, commissioned by Macmillan of 1,500 people found that 87% of cancer suffers want to continue to work. The main motivation for staying in work is the need to maintain a sense of normality and keep up self-esteem. Unfortunately, 9% claimed that their bosses were unable to give them the support they needed and 4% said they lost their job as a result. Macmillan found that 1 in 5 people returning to work faced discrimination as a result of their diagnosis. Are you giving your employees the support they need to return to work after a cancer diagnosis? In the UK more than 100,000 working age people are diagnosed with cancer every year, 890,000 members of the British workforce are living (and working) with cancer. These figures are predicted to increase to 1,150,000 by 2030. The chances are extremely high that your organisation will have to tackle this challenge sooner or later. According to the Macmillan research, well over half of those diagnosed with cancer while in work had to give up their job or change role as a result, which is probably not surprising as 60% say their hours didn’t change following their diagnosis. All of which shows a woeful lack of understanding and empathy on behalf of many organisations and line managers when it comes to supporting cancer sufferers. This is a growing issue and employers have a legal duty of care to their employees. Organisations are faced with a challenge to shake up their approach to long-term conditions, such as cancer. They need to learn to make necessary adjustments to support employees who wish to continue working and contributing. This is not simply for the benefit of staff, but also the businesses as a whole. Almost half of the people who were working at the time of receiving their cancer diagnosis claim their employers did not discuss issues such as flexible working, workplace adaptations or sick pay options with them. There is no legal requirement for an employee to divulge a cancer diagnosis. Fostering a culture of openness and support will help encourage employees to share this information and allow you to prepare and accommodate. Alternative options – change of job role etc. 18% of people claim that their employer (and colleagues) did not understand their changed needs when they returned to work. Macmillan found that 86% of line managers had not received any training on how to support employees with long-term conditions. Line managers can play an essential role in facilitating cancer sufferers who wish to continue to work while receiving treatment. They are also crucial in aiding the return to work after sickness absence. Managers need adequate training to have the confidence to support their employees through this period. They will generally be the first port of call for the initial disclosure and any ongoing concerns. Their knowledge of the day to day routines and the role of the employee will be invaluable when it comes to ensuring the organisation is meeting the employee’s needs. Providing an up to date policy (such as this sample from Macmillan) on the business’s approach to cancer is a great first step. The policy document should ideally be supplemented with in-house or off-site training on cancer in the workplace. It is also well worth taking advantage of the various annual cancer awareness days to educate the entire organisation on the extent and limitations of the support offered in the workplace. There are many resources available both online and off to support events, activities and workshops on the topic. Employees are protected from discrimination by the Equality Act 2010. Employers cannot discriminate against someone at any stage from recruitment through training and promotion to remuneration. A person with cancer is disabled in law, protecting them against discrimination. This protection continues after they’ve had the ‘all clear’ from a doctor, to prevent discrimination on the grounds of their past health issues. 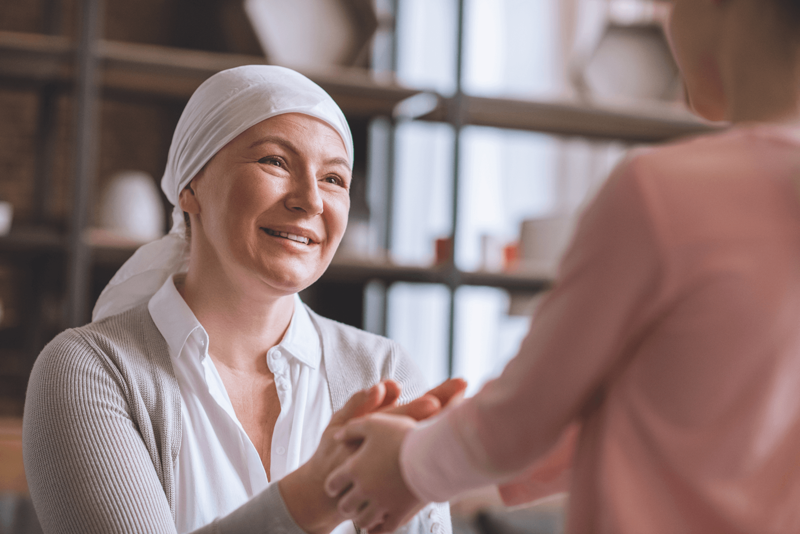 Employers are expected to make reasonable adjustments to the working environment to enable someone with long-term conditions, such as cancer to continue working if they wish to do so. The word ‘reasonable’ is vague, but a company needs to consider factors such as financial cost, practicability, benefit to employee and organisational disruption. The research shows that the vast majority of cancer suffers want to continue to work as much as possible. It’s in the interest of most organisations to do whatever they can to support and facilitate this. The evidence shows that employees who feel their wellbeing is valued are more productive workers. It is far less costly to retain existing employees, even accounting for reasonable adjustments, than it is to recruit new ones. According to the Chartered Institute of Personnel and Development (CIPD) it costs around £6,000 to recruit senior managers and directors, and £2,000 for other employees. The caring reputation of an organisation is well worth considering. It often factors into the decision process of employees choosing who to work for. So in a time when long-term conditions are increasingly the norm, being able to offer a comprehensive, caring approach to cancer sufferers is one way to set your organisation ahead of the rest.